Furthermore, few people challenge the hype of the day or crisis du jour by fact checking what they hear from the various so-called media outlets. Instead, we accept what we are told, and paint an entire country or region with the same broad brush. We are understandably horrified by the violence in other countries, but become desensitized to what happens in our own backyard. Although not alone, the United States is one of the most ethnocentric countries in the world. Travel helps to put things in perspective and is the foundation of a diverse education. During our around-the-world trek, our preconceived notions of peoples, cultures and places were constantly being redefined. Although we considered ourselves more “worldly” than the average U.S. citizen, we still made the mistake of believing certain stereotypes. For example, in some Latin American countries it’s believed the residents are lazy and unmotivated. We found just the opposite. In fact, they are hard working and among some of the most industrious people we have ever met. In most cases, the lack of technology in many communities actually caused people to think for themselves, and use physical labor to get the job done, which resulted in a practical-thinking population. Another distinct advantage of travel is to learn about events that are not in our history books. While visiting a remote village in Guatemala and staying with a local family, we heard firsthand accounts of a massacre that occurred in the village in the early 1980s. 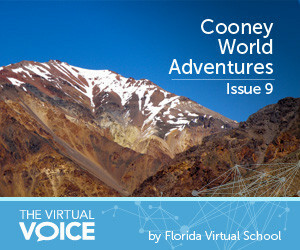 I devoted several chapters in my book titled: Cooney World Adventures: Backpacking with Teens Through Latin America to stories about the massacre – before, during and after. The most shocking revelation we heard from survivors of the massacre was that the United States supported the Guatemalan government at the time, because it claimed the villagers and rebels were Communists, which was not true. In reality, the villagers along with millions of others throughout the country dared to ask the government and wealthy landowners to provide basic education, healthcare, land to own and reasonable compensation for a day’s work. And for that common people were labeled Communists, which gave their own government the power to carry out atrocities with impunity while countries like the United States looked the other way. In my opinion, a diverse education is well rounded with an equal measure of book learning and hands-on practical experience, which includes travel. Not every family can take a year off as we did to travel the world. However, with a little planning and a lot of commitment, parents can enrich their children’s education by ensuring at least one cultural immersion – preferably several – throughout their Kindergarten-12 education. As my wife and I have seen firsthand, the value of a diverse education is invaluable. 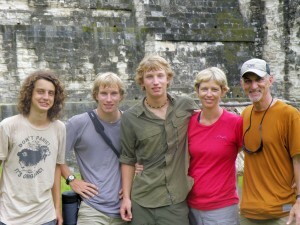 Our around-the-world trek gave our three sons a grounded perspective for entering postsecondary education and a solid foundation from which to launch successful careers. This entry was posted in Educator Edition, Homeschool Edition, Parent Edition, Student Edition and tagged Cooney World Adventures, Cooneys, Culture, Flexibility, Global Citizenship, Goals, Online Learning, Sociology, South America, Student Accomplishments, Student Achievement, Student Achievements, Student Planning, Student Success, Tips for Parents, Tips for Students, Travel, Travel Safety, Travel Safety Awareness Month, World Languages on January 21, 2016 by Guest Blogger.